Made by Friends is an ongoing side project in which I collaborate with friends to create visually captivating and informative data narratives. For our third project, we chose a theme close to our hearts (and taste buds): barbeque. Barbecue is a topic of debate nationwide. From Kansas City to Eastern Carolina, everyone claims their barbecue is best. 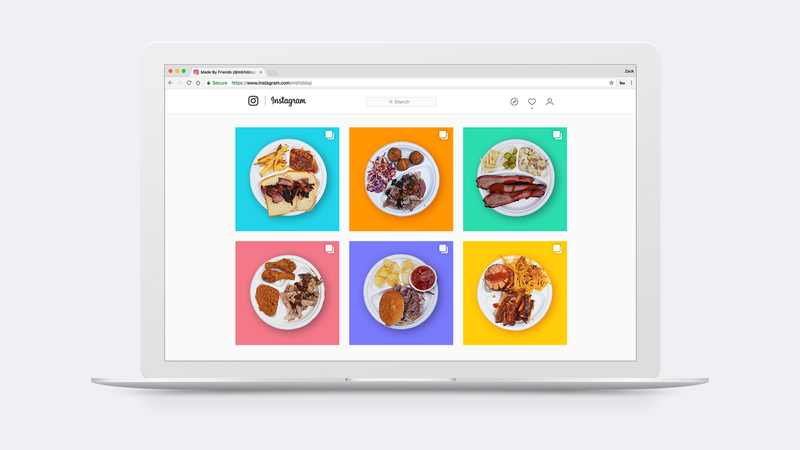 By researching, preparing, and then photographing iconic meals, we created a social campaign visually comparing the most distinct types of barbecue across the USA. Made by Friends is an ongoing side project in which I collaborate with friends to create visually captivating and informative data narratives. For our third project, we chose a theme close to our hearts (and taste buds): barbecue. Check out and follow the social campaign on Instagram. Barbecue is a topic of debate nationwide. From Kansas City to Eastern Carolina, everyone claims their barbecue is best. By researching, preparing, and then photographing iconic meals, we created a social campaign visually comparing the most distinct types of barbecue across the USA. Layouts rendered in Illustrator, finalized in Photoshop. Typeset in Lost Type and Aaron Draplin's DDC Hardware and Grilli Type's GT Sectra.